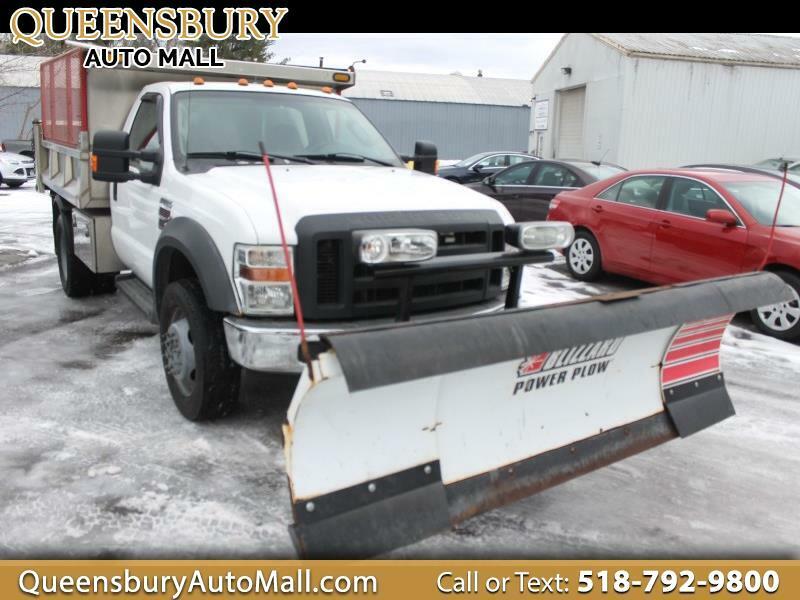 ***REDUCED PRICING - RARE RARE RARE HERE'S A COMMERCIAL TRUCK FOR ALL THE HARD WORKING PEOPLE OF THIS BEAUTIFUL COUNTRY WE ALL CALL HOME - STOP BY QUEENSBURY AUTO MALL LOCATED AT 635 GLEN STREET IN QUEENSBURY, NY 12804 FOR THIS 2009 FORD F-550 REGULAR CAB XL ALUMINUM DUMP BODY WITH THE PLOW PACKAGE AND THE DIESEL MOTOR YOU NEED - LOW MILES AND IN IMMACULATE CONDITION WITH ALL THE UP TO DATE DIESEL SERVICE WORK WITH ALL THE SERVICE RECORD HISTORY - TRADE IN THE OLD RIDE AND COME GET YOUR NEW WORK HORSE WITH THE QUEENSBURY AUTO MALL FAMILY*** 6.4L V8 OHV 32V TURBO DIESEL MOTOR! CLEAN CARFAX HISTORY REPORT! ONE PREVIOUS OWNER! FOUR WHEEL DRIVE WITH LOCKING TRANSFER CASE! BLIZZARD PLOW PACKAGE SET UP WITH HAND HELD CONTROLS! 8'-11' ALUMINUM DUMP BODY PACKAGE! LEATHER INTERIOR! FULL POWER EQUIPMENT! TITANIUM TOOL BOX STORAGE BOXES! BED SIDE STEP UPS! SINGLE REAR WHEELS! CUSTOM MUD FLAPS! AM/FM/CD PLAYER! FULL CABIN HEATING AND AIR CONDITIONING! KEYLESS REMOTE ENTRY SYSTEM! STEEL WHEELS ON FRESH TIRES!